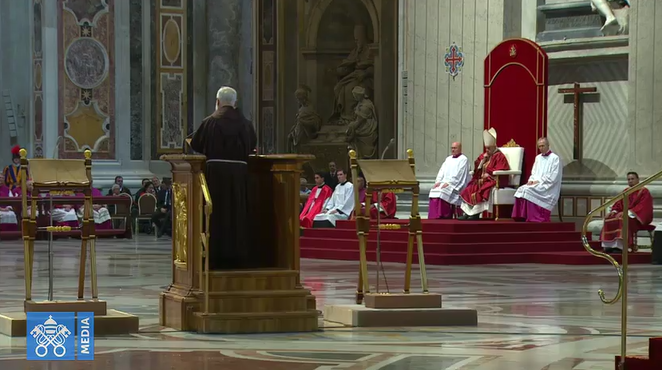 What a breath of fresh air it is to hear a true Pope speak, a genuine Vicar of Christ, through whom is heard the voice of St. Peter. Clarity reigns, confusion and doubt are put aside, and orthodoxy is affirmed. And it is no wonder, for every true Pope is a true shepherd of the flock of Christ: "...the sheep follow him, because they know his voice. But a stranger they follow not, but fly from him, because they know not the voice of strangers" (Jn 10:4-5). What a breath of fresh air it is to hear a true Pope speak, a genuine Vicar of Christ, through whom is heard the voice of St. Peter. Clarity reigns, confusion and doubt are put aside, and orthodoxy is affirmed. And it is no wonder, for every true Pope is a true shepherd of the flock of Christ: “…the sheep follow him, because they know his voice. But a stranger they follow not, but fly from him, because they know not the voice of strangers” (Jn 10:4-5).